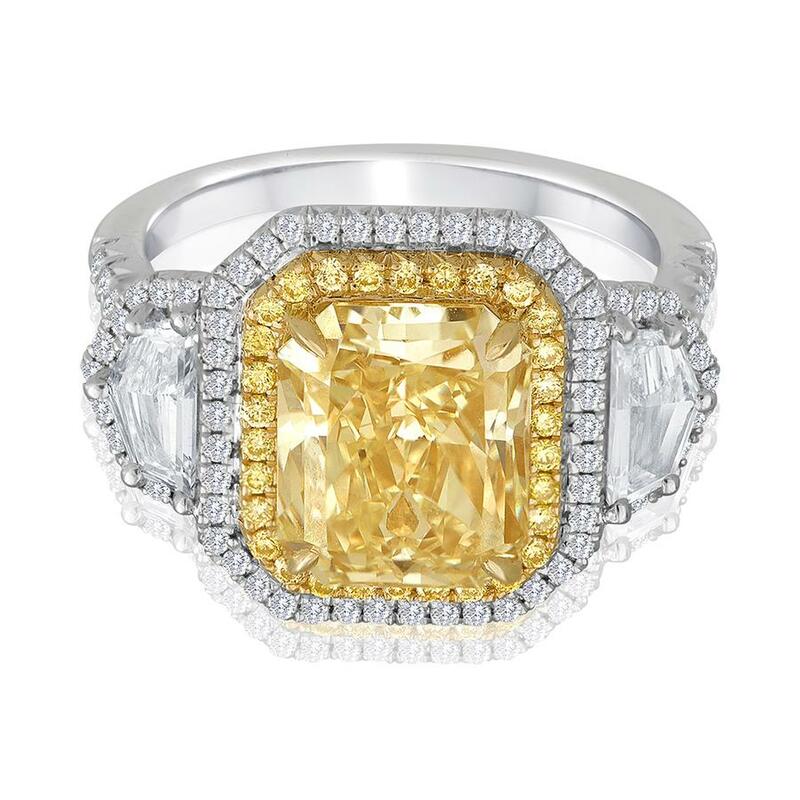 Yellow Cushion & Opulate Three Stone Ring. 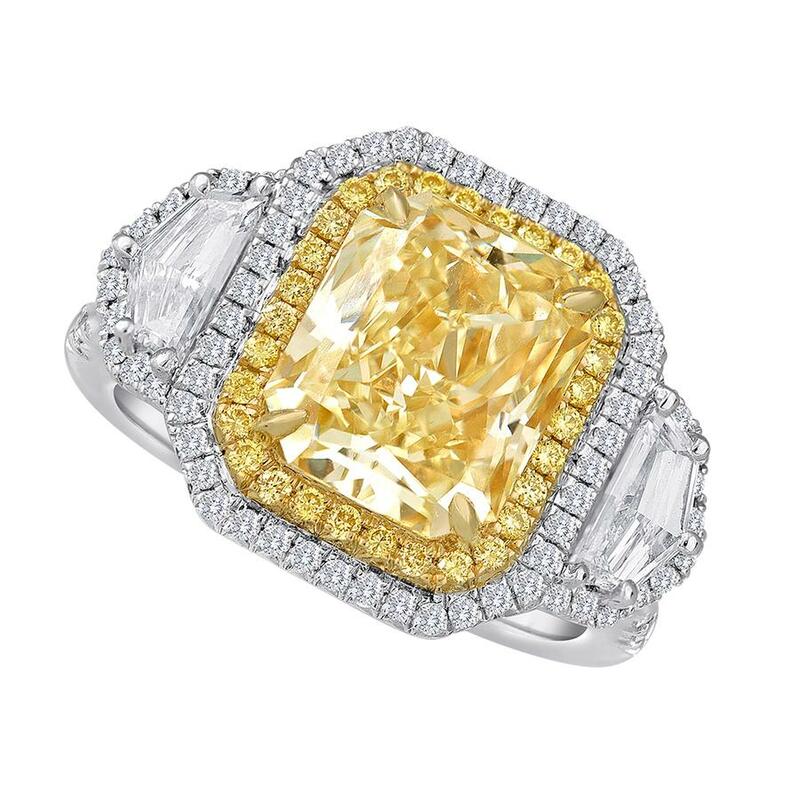 This ring has a 4.05ct FGY, SI1 GIA Cushion center stone and is surrounded by yellow and white diamonds. There are opulate side stones that are surrounded by diamonds. 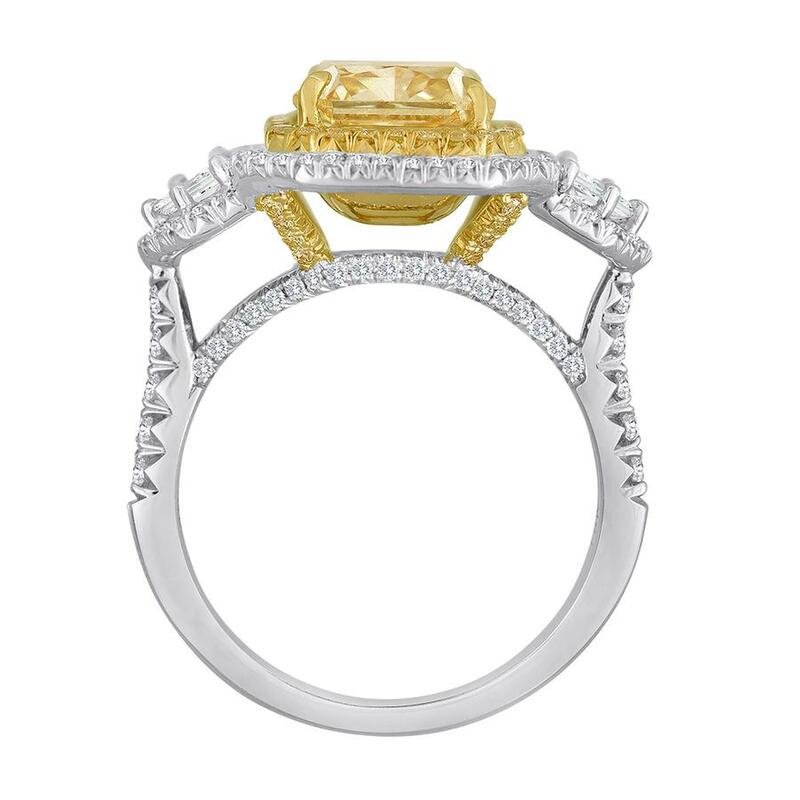 There are diamonds going half way down the shank of the ring.